AUSTRALIAN MP and Opposition spokesman for resources – get this – Gary Gray (the man’s name is a master of efficiency both in government and Scrabble) has been eating his own hair. Or maybe he’s been eating something found on his hair, like grubs or jam? 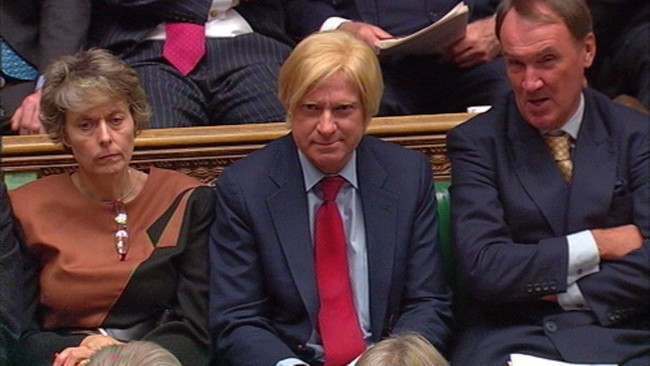 Meanwhile in the UK’s House of Commons, Michael Fabricant MP for Lichfield (centre below) continues to exit on a diet of cheese strings.